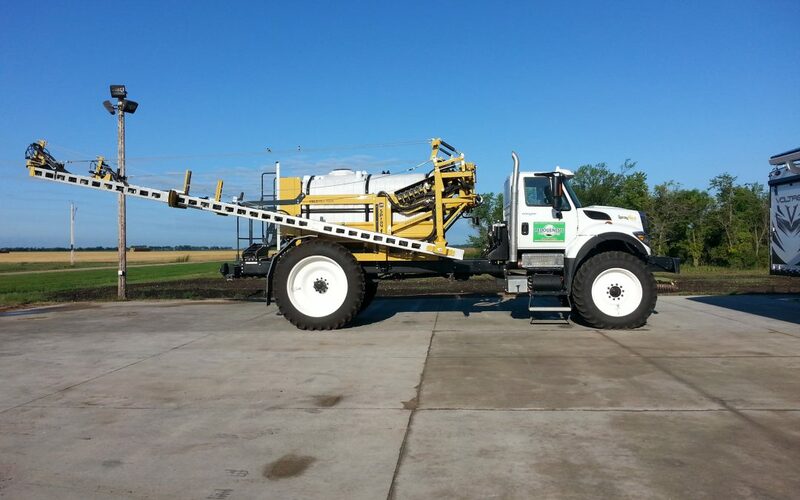 In 2014 Pedogenesis added another Aspect to the company as we purchased a Dry Spreader, a Liquid Sprayer as well as a 60 foot spray bar with a Farm King trailer. Our Star Flex Liquid Spray truck is equipped with the newest version of the Raven Viper 4 Precision Farming which includes Accu-boom, Auto-boom, GPS, etc. Equipped with 120 foot booms it allows us to cover 80 acres an hour on an average field. Our Dry Spreader is equipped with the Raven Viper Pro Precision Farming Unit. With the spinner system and the dry fertilizer that we custom mix we are able to do a 75 foot spread. The spray bar and Farm king allow us to apply 200 gallons an acre with the option of injecting a second product. These units are only used for Non-GMO and Organic fertilizer so there is no need to worry about chemical contamination.